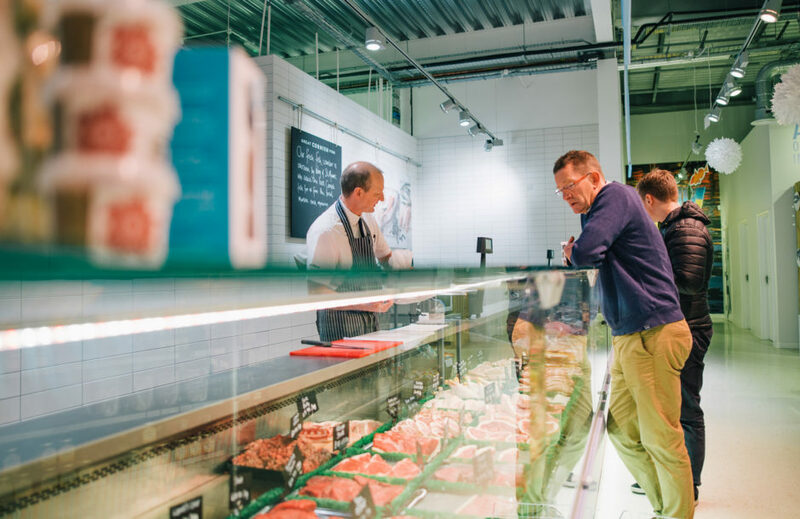 At the Great Cornish Food Store we select the very best for our butchery. 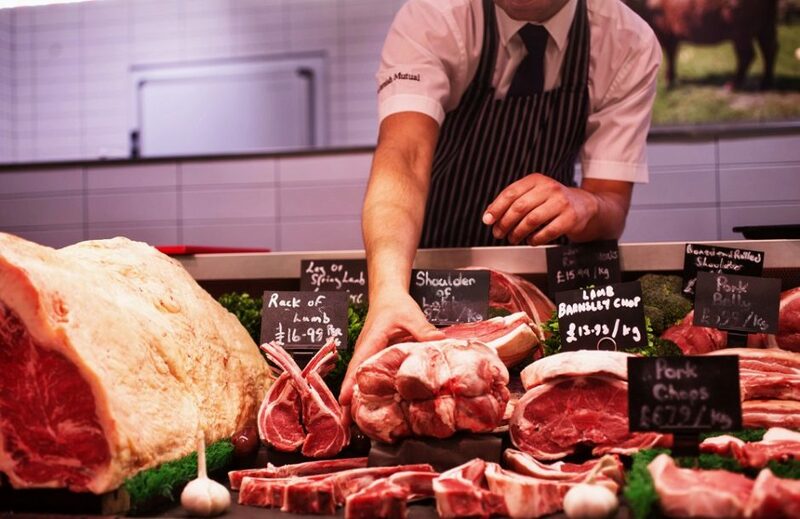 We want to ensure you get the finest cuts of local meat and poultry and we pride ourselves on the friendly and knowledgeable service from our skilled butchers. From the humble pork chop to the mighty rib of beef, all our meat is sourced and prepared by the Store team. If there’s a particular cut or preparation you require, just let them know, and they’ll be happy to help. 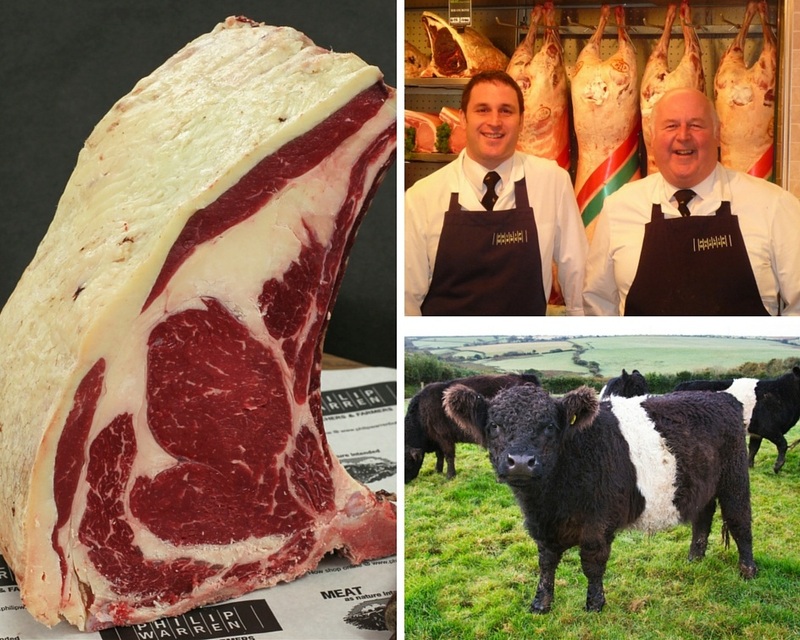 All our beef is supplied by Launceston-based Master Butcher and Farmer, Philip Warren and his son, Ian. Warren’s supplies around 20 Michelin starred restaurants including top London names such as the Ledbury and Pollen Street Social, as well as the crème de la crème of the food scene in Cornwall, Rick and Jill Stein’s restaurants and Michelin chefs Chris Eden and Paul Ainsworth, to name just a few. 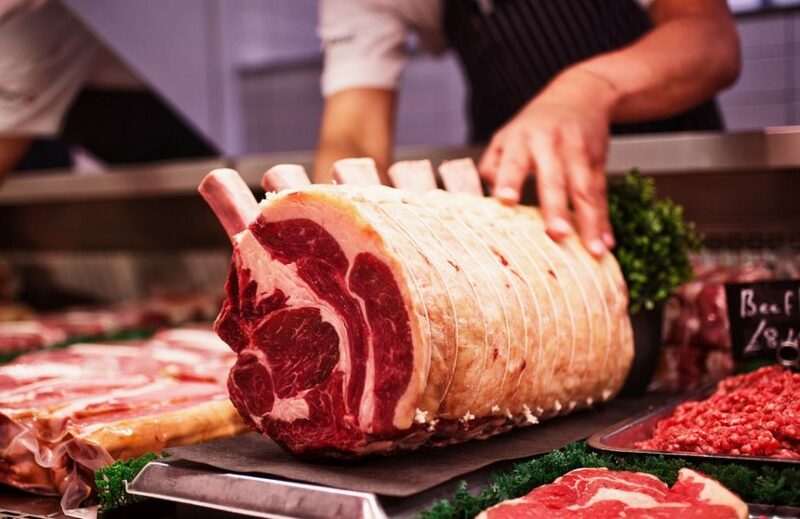 Our pork and lamb is supplied by JV Richards of Perranwell – just 5 miles away from the Store. They source their animals from local farms and from Truro Livestock Market. Philip Warren should know a thing or two about meat – his family have been graziers and butchers since 1880, with a shop in Launceston all that time. Perhaps this is why he understands that being in it for the long term means working with farmers who in turn work with the countryside. Perhaps because of his location, surrounded on either side by Bodmin Moor and Dartmoor, Philip Warren is one of the few butchers who recognise the quality and value of moorland livestock. Livestock farming on the moor is in a perilous position because moorland animals, which can’t compete with the large commercial beasts that have been bred specifically to produce more meat, tend to fetch a poor price. However, Warren’s Butchers prefer the suckled native breeds from the moors, fed by the mother for eight months then reared slowly on moorland heather and gorse and a healthy outdoors existence, yielding meat that is a glorious ruby red laced with fat the colour of Cornish clotted cream. This is the first time Philip Warren has worked with a butchery based outside of Launceston and we are immensely excited to be working with a business that has such a fantastic reputation for quality, consistency in product and a rich understanding of animal, farmer, countryside and customer.